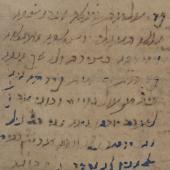 Recipes, Prescriptions and Drugs from Medieval Egypt | Among the 350,000 fragments of medieval manuscripts retrieved from the Genizah of the Ben Ezra synagogue in Fustat (Old Cairo) we can find almost 2,000 leaves dealing with medicine, the medical profession and health problems. 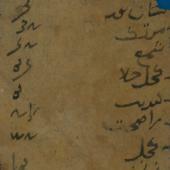 They are written in Hebrew, Arabic and Judaeo-Arabic and are an amazing source for studying the transmission of medical knowledge and the actual practice of medicine in the Middle Ages. This exhibition presents a sample. The Cambridge Genizah Collections consist of 200,000 manuscript fragments from the sacred storage room (genizah) of the Ben Ezra Synagogue in Fustat (Old Cairo). There are sacred religious texts, as well as documents of medieval Egyptian daily life, a mass of material related to the sciences, and approximately 2,000 medical items. Watch Beneficial, if God wills! 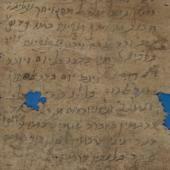 An introductory video on medicine in the Genizah. 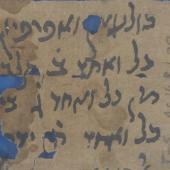 The medical fragments of the Cairo Genizah (which date from the 10th century onwards) include many translations of Greek and Arabic medical works in Judaeo-Arabic (Arabic written with Hebrew letters). Importantly for historians, medieval users often annotated their manuscripts. And many of the works are by prominent Jewish physicians. 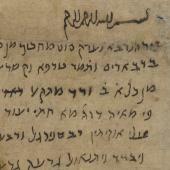 Unique to the Genizah medical collection are large numbers of prescriptions, druggists’ notes, and lists representing the practical application of theories expounded in medical treatises. 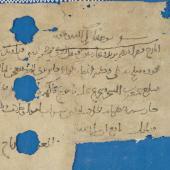 The manuscripts demonstrate how medical theory was adapted to comply with the peculiarities of local ailments and the availability of medicinal materials in Egypt. The prescriptions were not intended for posterity: they were indeed discarded after their use, but – fortunately for us – into the Genizah. Research leading to this display was generously funded by the Wellcome Trust Research Resources Award ‘Medicine in Medieval Egypt: Creating online access to the medical corpus of the Cairo Genizah’.